The designs the emanate out of the Albaker Architects design studio are profoundly influenced by parametricism. While we embrace cutting-edge scripting software that has yet to be fully developed, it is fascinating that parametric principles were being applied to architecture more than sixty years ago. Luigi Morretti is arguably one of the pioneers of the late 20th century design culture. His research ‘Architectttura parametrica’ in the late 1940’s and 1950s dealt with the crucial topic of relationship between architectural design and parametric equations. He founded the I.R.M.O.U, an institution dedicated entirely to the development of architecture projects based on the application of principles of numerical quantification and parameterization to design attempts and choices. According to him parametric architecture is a study of architectural systems defining the relationships between the dimensions dependent upon the various parameters. To further explain, he uses the design of a stadium to describe how the stadium’s form is generated. The geometry is developed by using 19 parameters concerning viewing angles, economic costs of concrete, etc. 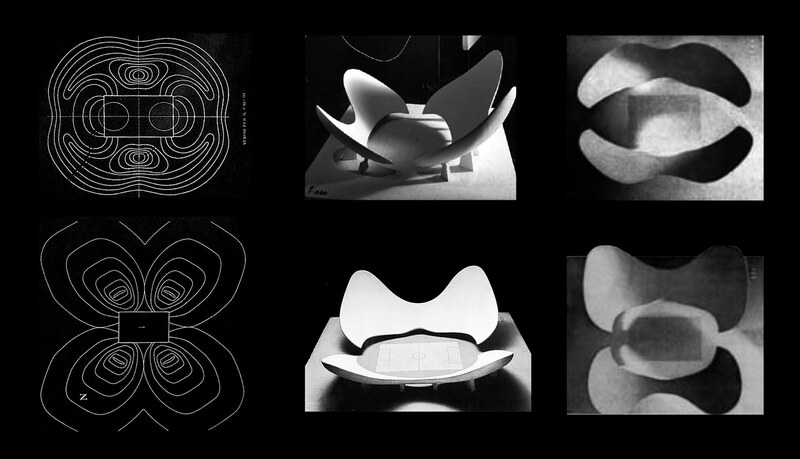 The different variations of the parametric stadium was presented as part of his Parametric architecture exhibition at the Twelfth Milan Triennial in the 1960.
class="post-template-default single single-post postid-375 single-format-standard samba_theme samba_left_nav samba_left_align samba_responsive"